I have followed Emily’s decorating blog for years. 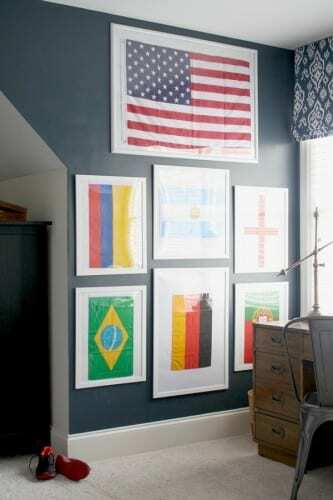 I love DIY, kids’ room inspiration, and just generally having a home that I feel looks beautiful to me and my taste. Everyone’s idea of beauty is different – thank goodness for that or how boring would life be? – but I don’t think we have to wait until the kids are old to make our home beautiful. I’ve asked Emily a few questions and her answers are below. Q: Tell us something very interesting (or very uninteresting) about your family! Our twins were a complete surprise. We had three kids and had just moved into a slightly smaller house when I found out I was pregnant again. There are no twins anywhere in either of our families, so to say we were shocked is an understatement. But, what a blessing they have been! Q: What’s the most surprising thing about becoming a mother? 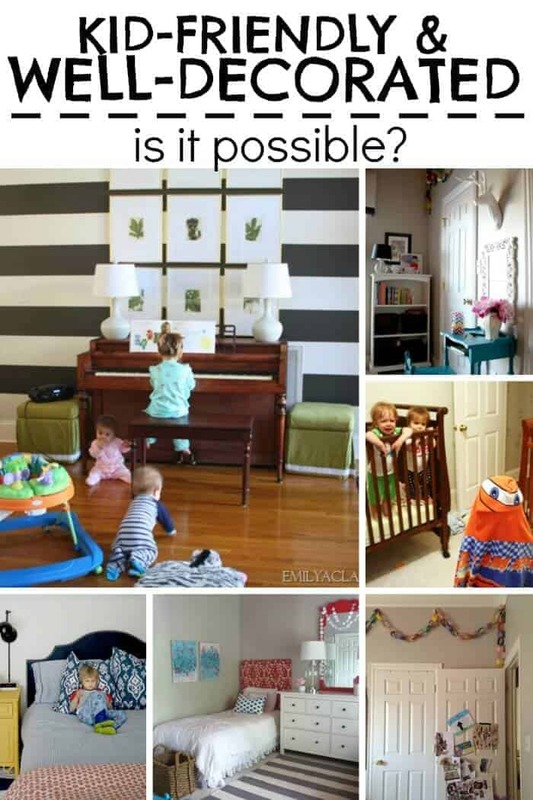 Q: What’s your philosophy about decorating the home when you have small kids (a.k.a. little destroyers) afoot? I would say to relax (as much as possible) and to not buy anything that you can’t imagine being broken at some point. Nothing is too precious in our house; most of our furniture is from Craigslist. I think it’s about setting some semi-realistic expectations. I know that this is not the season in my life to buy nice things—if I want to keep them. I don’t think there are rules, but I do think storage is a must—pretty baskets, furniture pieces with lots of drawer storage, etc. Things aren’t perfectly organized in our house, by any means, but there’s plenty of places to hide things away quickly. Q: Your home looks so beautiful on your blog, is that how it looks behind the scenes too? Umm, what do you think?! I’m just thankful that toys can be pushed to the side for “coffee table styling” and that sticky floors don’t show up in photographs. While I’m cleaning up one mess, they’re creating a bigger, better one somewhere else. I’m drowning! Ha! Q: One piece of advice for busy moms of little ones who want their homes to look good, but aren’t sure where to start? Paint something. Your walls, a piece of furniture. 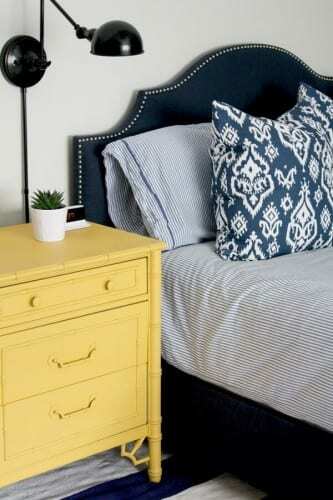 Paint is an instant—and inexpensive—change that you can make, and it won’t get destroyed by the kids. Here are some cool things to browse on Emily’s blog. You are NOT lazy, disorganized, or unmotivated. The fact is, if your home feels chaotic,it’s your systems. With easy efficient systems, habits, and routines you can start to have the home (and home atmosphere) you crave without working yourself into a frenzy. Take this quiz to see how well your home systems work then get free and easy hacks to help make your home more tidy, peaceful, and organized. « Is sleep a priority for you? All over the world checklists save lives. 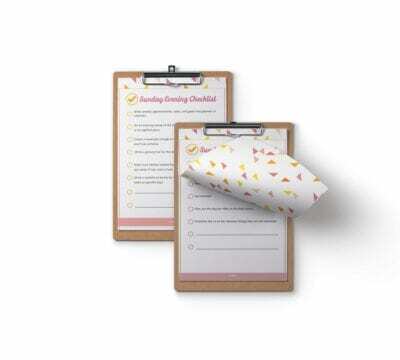 ER doctors, airline pilots, and a whole slew of other professions use checklists to make sure they don't forget the important stuff. 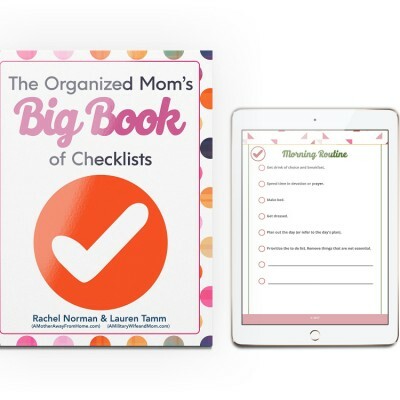 In the spirit of streamlining life and cutting down on stress, I've created a book of checklists (with your own copy to edit as you'd like) for all types of home life.